Chinese tech site BenchLife.info has leaked (via VR Zone) some interesting information regarding what are purported to be Intel's 9th generation Core processors. It has published slides said to show an Intel roadmap which includes 'Coffee Lake' processors. These processors look to bring six-core CPU designs to the mainstream. 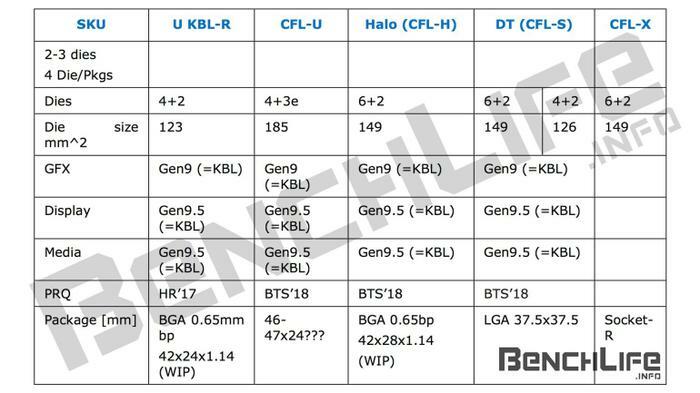 BenchLife also published a platform layout diagram and a chart comparing the various features of Coffee Lake U, H and S (Desktop) processors. A slide bearing Intel's logo and corporate house style, shown above, charts a roadmap that extends to 2018 and outlines the Intel H and U processors at the top end of the mobile product roadmap. Right at the end of the time period covered we begin to see the emergence of the 'Coffee Lake' (CFL) chips. You can see that the CFL-H processors will have a 45W TDP and 6C configuration, while the lower power 15/28W CFL-U chips will be limited to 4C parts. Above you can see BenchLife claims that the desktop Coffee Lake Core (DT CFL-S) processors will be made available in both 6C and 4C configurations. 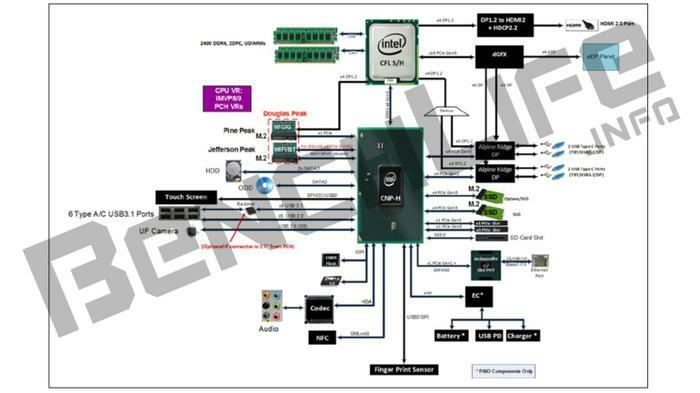 The new platform will go further along the integration road, with new interfaces and connectivity stuffed in the chipset. Thus it is expected that Coffee Lake S processors won't be compatible with earlier motherboards and sockets. A 14nm 6C Coffee Lake chip is expected to measure 149mm squared, while the 4C parts won't be core disabled but actually purposely designed and measure 126mm squared. 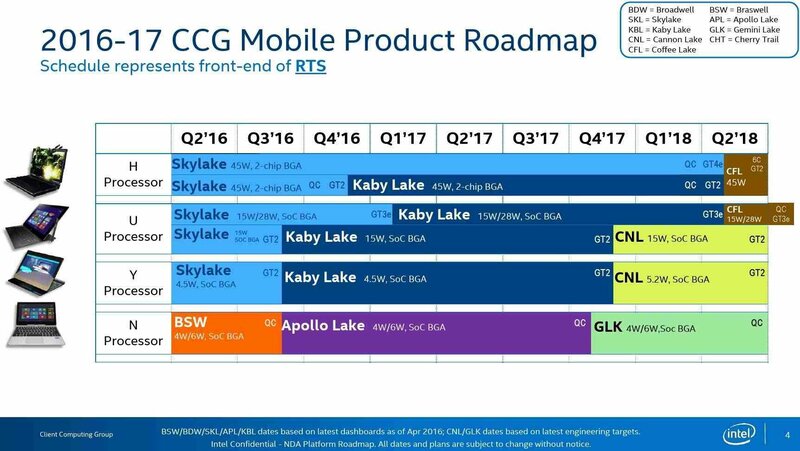 So 4 14nm generations and 10nm Cannonlake out at the same time as Coffe lake, That with Skylake and Kaby X out at the same time I have to wonder what Intel are up to? That said I understand Cannonlake will be out only on low power mobile whilst Coffe lake will be desktop, still going to confuse the hell out of people. Mid 2018 by the looks of it. Probably maximising their fab investments and not racing to upgrade them all asap. CPU development seems to have slowed down across the board, I guess this is to be expected.